Looking for some awesome music festival gear for the summer? Check Beloved Shirts. They have some outrageous designs that will bring out the inner festival in just about anyone. They offer a tanks, shirts, socks, leggings, their famous full body Belovsies and so much more. Beloved Shirts makes every order a custom one special for you. Check out our favorite seven Beloved shirts items and be sure to check out their shop for more great music festival clothing. For starters if you haven’t experienced the awesomeness of a Belovsie then you are truly missing out. A soft, full and comfortable onesie made with lots of love! The pizza Belovsie is best enjoyed as a group effort. What’s better than one pizza walking around a festival? two Pizzas! or three Pizzas! or even four! The Pizza Belovsie brings out the inner child in all of us. The nights may get at a little bit chilly at a music festival and you will definitely want a sweater with some style. 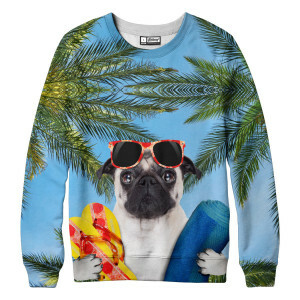 Wearing a sweater without a wide eyed dog, sunglasses, flip fops and yoga mat would just be foolish. 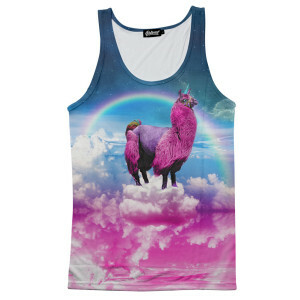 It’s half llama, half unicorn there’s a rainbow in the background, and it’s on a tank top. Need I say more…. So there might be one thing better than a bunch of people walking around in Pizza Belovies, and that my friends is a bunch of festival goers walking around as Kim Jung Un. The more people you can get to jump on this bandwagon the better! Smiling mushroom? On your Legs? It’s true you, can have it all. Beloved Shirts has an awesome collection of leggings, but this was definitely our favorite festival pair. 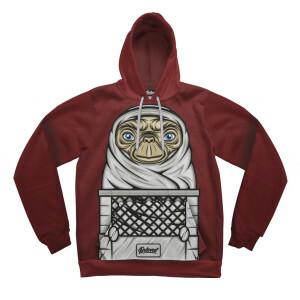 If you wear this hoodie at music festival you MUST also ride a bike around it too! I guarantee that you will have a trail of people running behind you. The best way to show your sweet and sour side at any Music Festival. Candy at a Music Festival is better than candy not at a music festival. 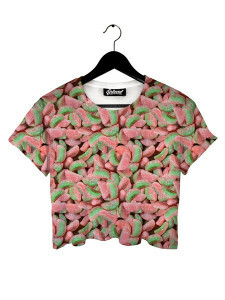 Why not dress up as candy too?